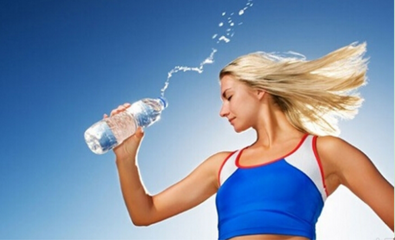 Hydrogen rich water is popular in many countries and regions, people drink hydrogen rich water almost every day. So hydrogen water maker and hydrogen water machine are very important in our life. Hydrogen and reactive oxygen species (free radicals) with the effective discharge of hazardous substances into the water body, to achieve anti-aging, eliminate fatigue effect! The excess hydrogen with breathing volatilized in vitro, don’t worry about excessive drinking can increase the body burden, zero and negative effects. Hydrogen rich water for consumption crowd is very extensive, especially for the elderly, women, persons and patients with chronic diseases often smoke and drink, the hydrogen rich water oxidation reduction potential (ORP) reached negative 500 (MV) with a selective antioxidant, anti-aging, anti arteriosclerosis and skin whitening effect, has a broad market future. Its main performance index is negative redox potential (ORP). Hydrogen rich drinking water for diabetes, allergies, hypertension, gallstones, rheumatism, skin disease, insomnia, arthritis, gastrointestinal disorders, cancer, cancer, asthma, myocardial infarction and other diseases can be cured and improved, the Japanese medical doctor Lin Xiuguang conducted the research and clinical verification of Nobel Reardon Laura of “magic water”. Finally cracked the mystery, is the water rich in hydrogen, generally in the nature of the spring water, river water, lake water, well water, tap water and so on, are not separate hydrogen, the hydrogen content is 0. Hydrogen water contains abundant hydrogen molecules, by drinking into the human body is in the hydrogen decomposition enzyme decomposed into hydrogen atoms that active hydrogen, reducing reaction and active oxygen – body oxygen free radicals, generated human need the most harmless water. Hydrogen is a natural antioxidant best, hydrogen and hydrogen in the water very fine, can penetrate the cells rapidly, and human killer oxygen free radicals, the last generation of water out of the body. Each hydrogen molecules will be evenly coated with water molecules, resulting in the formation of small molecules, small molecules because of small volume, can be very good through the cell wall, the elimination of intracellular oxygen free malignant base. Therefore, insist on drinking hydrogen rich water every day, can effectively remove harmful substances in the body, keep healthy.